Book Three of the bestselling Loving Husband Trilogy - "A perfect ending to this trilogy!" 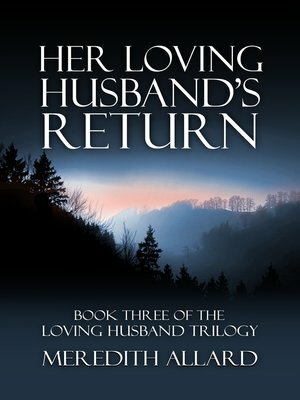 (Nicole L. Vermilya)What would you risk to return to the one you loved?James Wentworth's paranormal secret is no longer a secret, and now he and his beloved wife, Sarah, have been separated. While suffering his own internment, James is reminded of his time in the Manzanar Relocation Camp during World War II, and he cannot allow the past to repeat itself. With the help of his friends—Chandresh, Jocelyn, Timothy, even the irreverent Geoffrey—James learns what it means to return, and he is determined to return to his Sarah no matter the challenges—or the consequences. In the end, it may be up to Olivia, the most powerful of witches, to grant James's most fervent wish. Will James and Sarah be reunited once and for all despite the madness surrounding them?Evoking comparisons to Deborah Harkness' All Souls Trilogy and Diana Gabaldon's Outlander series, Her Loving Husband's Return is a story for anyone who believes that true love is worth all the risks. Complete the romantic journey with James and Sarah in Her Loving Husband's Return and be amazed by the depth of this eternal love story.